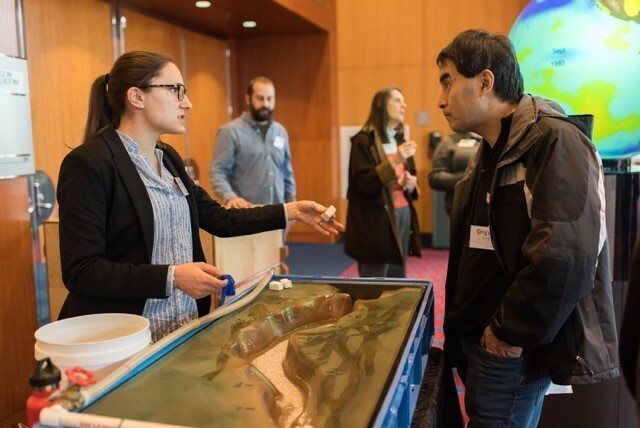 As the Service Learning Coordinator for the OSU student group Hydrophiles, I've helped organize and run lessons on water, sediment transport, and dam removal at several elementary schools in the Willamette Valley. I use visual aids and a physical, scale model of the Glines Canyon Dam, complete with sediment and running water, for these presentations. Some of the topics I address with these lessons include: how sediment moves in rivers, who (or what) 'cares' about sediment in rivers, how sediment moves through dams, and how dam removal changes sediment patterns. You can learn more about these efforts on the OSU Hydrophiles page. The physical model I use was built as a teaching tool by a professional group many moons ago, but if you're interested in learning more, or are thinking about building your own stream or dam model, contact me!